Singular Stone is a new action RPG developed for MSX2 by Tōji Murakata. 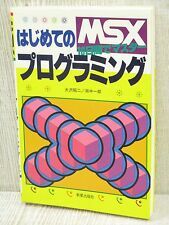 It will feature FM sound (MSX-Music). The author would like to finish the game in 2019 or 2020. In the following videos we can see the game status and introduction (without sound). Relevant link: Singular Stone video W.I.P. 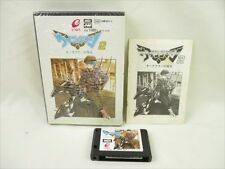 An msx2 game that is pratically an msx1 game. MSX2 can do far more than this. Horrible pattern based gfx with the beautiful limitations of screen 4. I love screen 4 . The palette support and the extra spites add a lot of value compared to MSX1, and it’s very quick to update so gives quite different gameplay than screen 5 would. SMW and Deva are using screen 4 as well btw.